Brenda Laurel has worked in interactive media since 1976. She currently serves as an adjunct professor in Computer Science Department at U. C. Santa Cruz. She served as professor and founding chair of the Graduate Program in Design at California College of Arts from 2006 to 2012. She designed and chaired the graduate Media Design Program at the Art Center College of Design in Pasadena (2001-2006) and was a Distinguished Engineer at Sun Microsystems Labs (2005-2006). 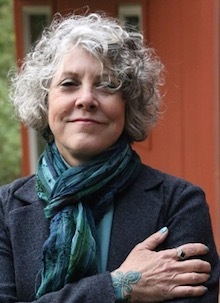 Based on her research in gender and technology at Interval Research (1992-1996), she co-founded Purple Moon in 1996 to create interactive media for girls. In 1990 she co-founded Telepresence Research, Inc., focusing on virtual reality and remote presence. Other employers include Atari, Activision, and Apple. Her books include The Art of Human-Computer Interface Design(1990), Computers as Theatre(1991), Utopian Entrepreneur (2001), and Design Research: Methods and Perspectives (2004). Her most recent writing, Gaian IXD, was the cover article in the Sept.-Oct. 2011 issue of the journal Interactions. She earned her BA (1972) from DePauw University and her MFA (1975) and PhD. in Theatre (1986) from the Ohio State University.